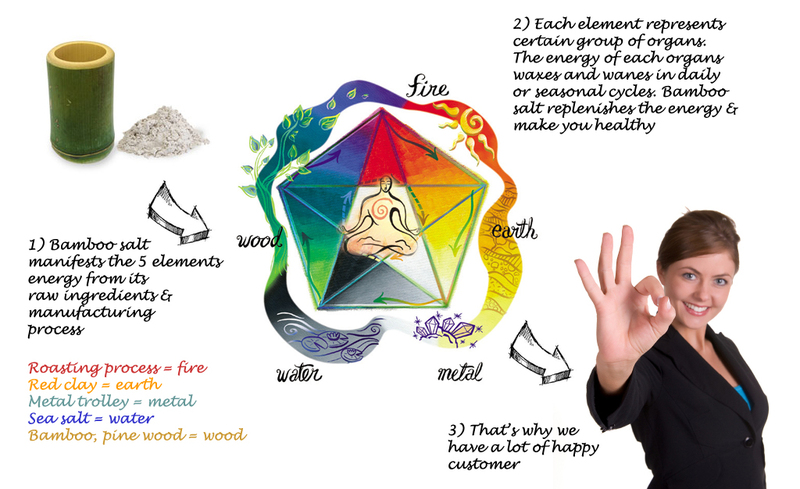 Bamboo salt is manufactured through a unique ancient method based on the theory of The Five Elements. 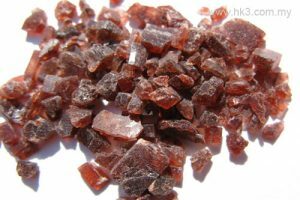 It has been commonly used as an essential home-based natural health medicine for medicinal, skin care and general health purposes in Korea for more than thousand years. 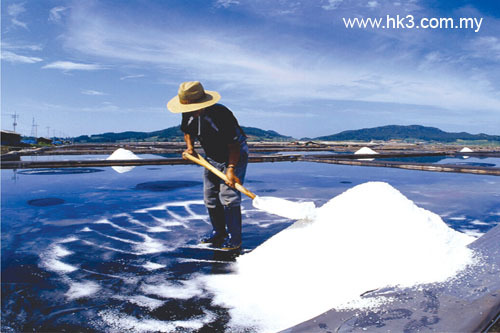 It provides alkaline organic mineral salt (pH level 9-12) and supplies 70-80 minerals and trace elements. It is a strong anti-oxidant (with ORP level up to -426mV) and able to revitalize body cells effectively. Long-hours high-temperature processing makes bamboo salt an element emitting far infrared wavelength which boosts blood circulation effectively. Long-term consumption helps to balance the pH value of body fluids and is very beneficial to our acidic bodies and thus help to improve general health. Several kinds of research have found out many bamboo salt benefits: improving diabetes, weight loss, cancer, allergy, gastric, arthritis, dental health, inflammation, yeast infection, sore throat and the list goes on. How Korean Bamboo Salt is made? The 1-time roasted bamboo salt has done. The bamboo ash is cleaned up. 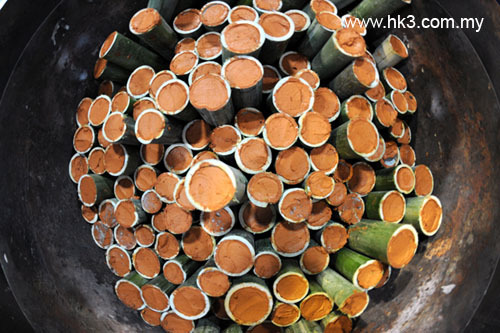 The bamboo salt is then grinded into powder form and filled into a new bamboo trunk and sealed with red clay for next burning process (repeated burning process, increase the good mineral content and eliminate bad mineral i.e heavy metals). When it comes to the 9th burn, it is transformed into purple color and found to have the highest efficacy. The scientist believes the change of color is due to rearrangement of the suphur molecule into the hexagonal shape. 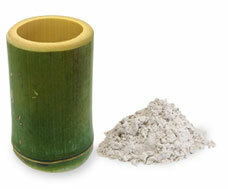 Ancient wisdom suggests bamboo salt in this form preserves the high amount of healing energy. According to Traditional Chinese Medicine, The Five Elements, or Five Phases, are aspects of Qi. These are Wood, Fire, Earth, Metal, and Water. Each element represents a certain group of body organs that maintains life. In the poetic language of the Five Elements, health is a harmonious balance of all the elements. The Qi of the elements waxes and wanes in daily and seasonal cycles. In order to maintain good health, we must replenish the Qi through foods or exercises. 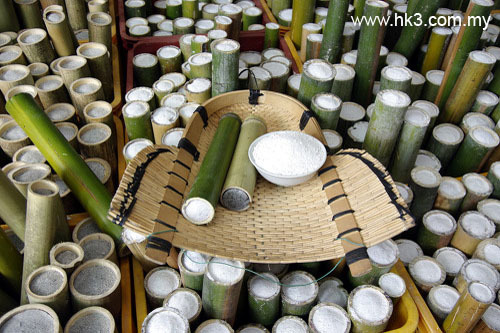 HKIII Bamboo Salt is originally from Korean traditional remedies with thousand years’ history. It is manufactured based on The Five Elements theory. The natural sea salt (water) from the western coast of South Korea is filled with 3 years growth’s bamboo (wood). Next, sealing the bamboos’ opening with red clay (earth) from the deep mountain. 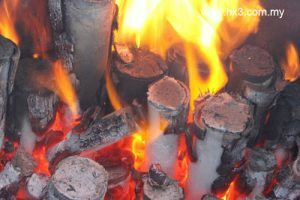 The bamboo salt is then well arranged into a metal trolley (metal) and move into the burning furnace for high-heat roasting for 6-8 hours (fire) by using pine wood and pine resin as burning materials at the temperature of 900ºC – 1500ºC. The process is repeated for 8 times. 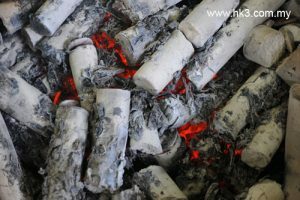 During the ninth roasting process, the 8th times roasted bamboo salt is put into a metal furnace (metal) and the roasting temperature is increased above 1500ºC. 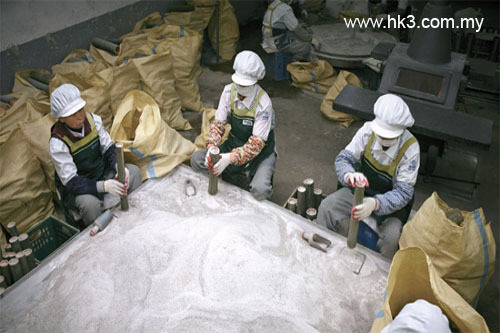 The 9th roasted salt is melted, cooled, solidified and grinded into granule or powder form for consumption. It is an ideal food to replenish the Qi because it has manifested the positive energy of The Five Elements through its unique manufacturing process. HKIII Bamboo Salt contains 70-80 types of minerals and trace elements essential to life and optimizes function of other nutrients. Free radical harms the basic unit of life, the cell. The Oxidation Reduction Potential (ORP) of HKIII Bamboo Salt is -200mV to -426mV which is able to revitalize the damaged cells. 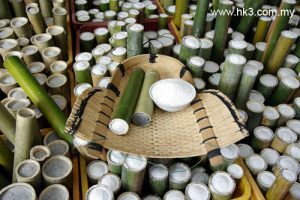 Why You Should Change The Refined Salt To Bamboo Salt? 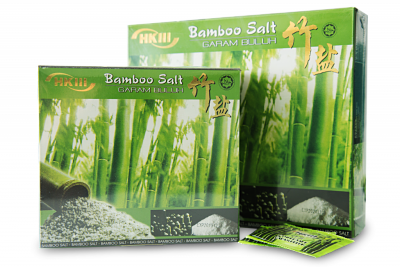 HKIII Bamboo Salt is packed into several packagings based on different grades and usages. The hot selling bamboo salt products include cooking bamboo salt, life bamboo salt (as health drink), purple bamboo salt (for fast healing), bamboo salt honey (for hemorrhoids, skin care), bamboo salt soap (for cosmetic and skin allergy relief) and bamboo salt mineral coffee (for vitality and energy).